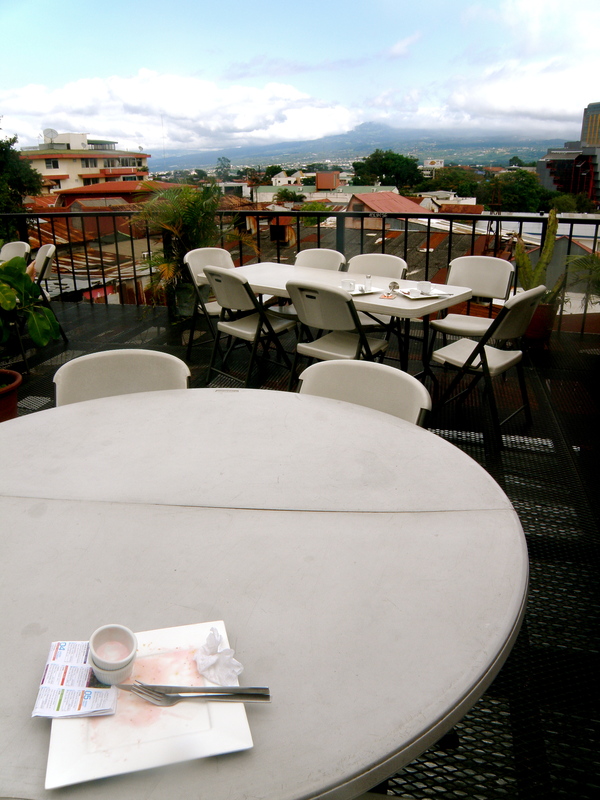 I continued to be impressed of Hostel Pangea as I discovered my room and the rest of the facilities. The rooms were very secure with key-card access only, and the beds and bath areas were very nice and clean. Hostel Pangea at first seems small, but it didn’t take me long to find the many rooms and areas including a swimming pool, large bar, and many computers. Not to mention, they had a great area for charging devices and a theater room as well! 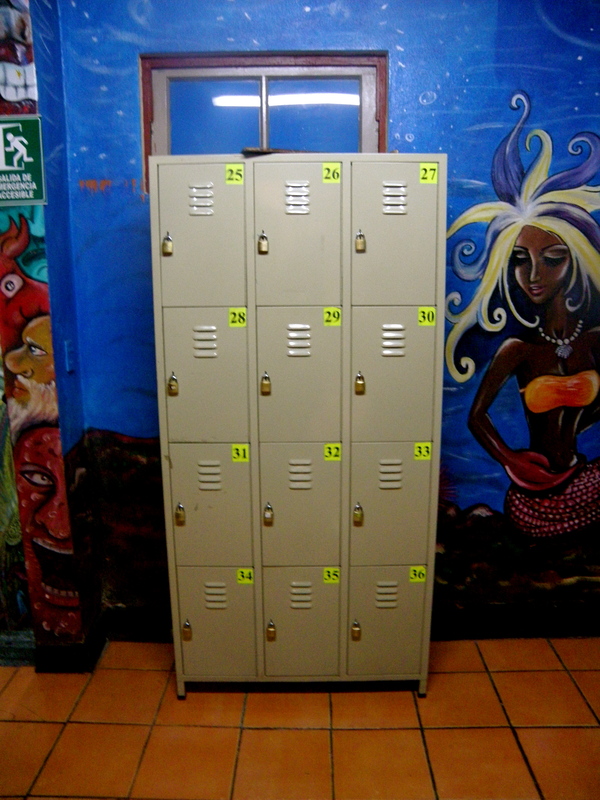 Possibly the best thing about Hostel Pangea is how secure it is. My first night there, a friend from San Jose stayed with me, so we spent most of the night hanging out at the bar and exploring San Jose. When we went out, we experienced no problems catching taxis or having taxis take us back. ALL taxi drivers know about the hostel. Additionally, when you come into the hostel, you’re immediately greeted by a friendly guard who checks your wrist band to make sure no strangers are coming into the facilities. The staff takes many precautions to make sure guests feel safe, and the entire time I was there, I never felt that I or my belongings were ever in jeopardy. Being a single traveler, this is of utmost importance. 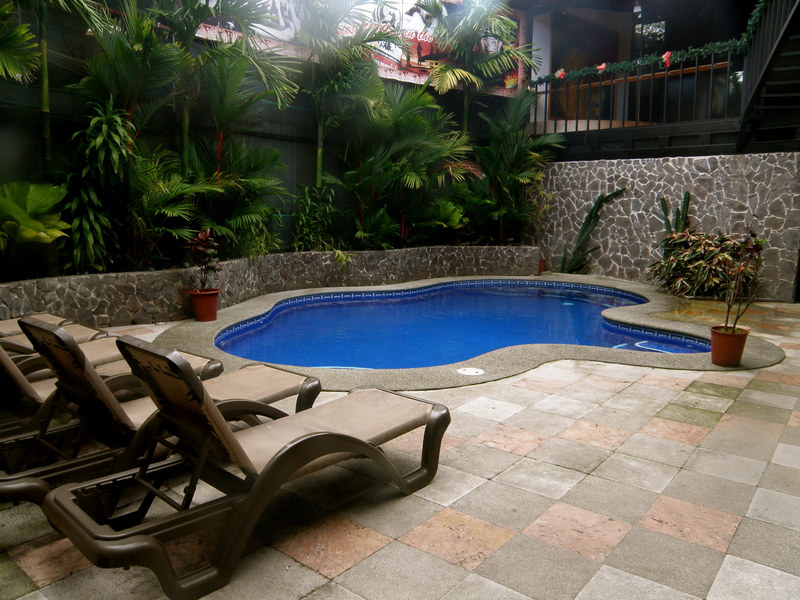 I highly recommend Hostel Pangea to any traveler making a stop in San Jose. The staff is great, the accommodations are exceptional, and, very importantly, it’s safe. 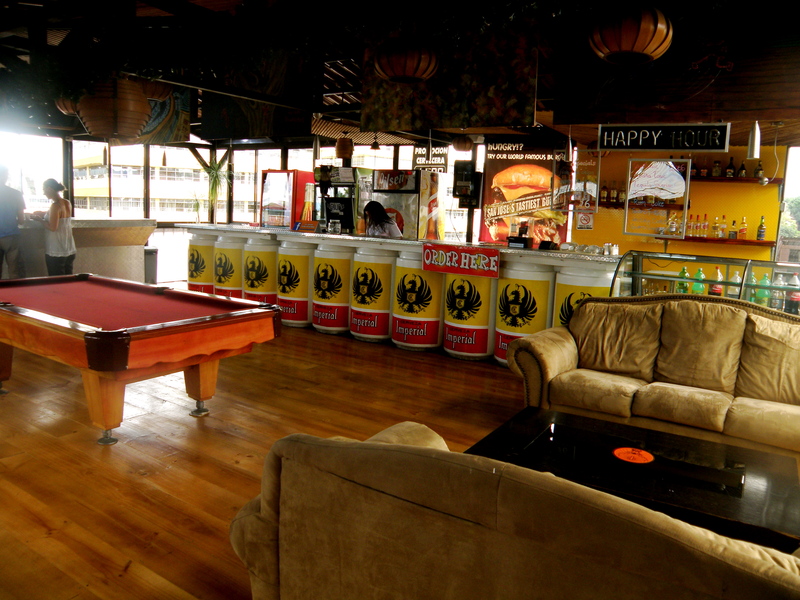 Hostel Pangea is definitely worth a night’s stay! If you’re coming from the TicaBus station, take a taxi. It should cost about 4,000 Colones ($8 US). If you’re coming from the Juan Santamaría International Airport, take the TUASSA bus (450 colones or $1 US) and then a taxi (about 3,000 colones or $6 US for taxi to hostel). If you decide to go out, you have many options available to you. There are a variety of clubs and bars nearby depending on your taste/style. No trip should cost you more than 3,000 colones ($6 US) or so. To get a taxi, just go out to one of the main streets and hail one. It’s cheaper than calling and super easy. I really do have say this about the staff, they are amazing. 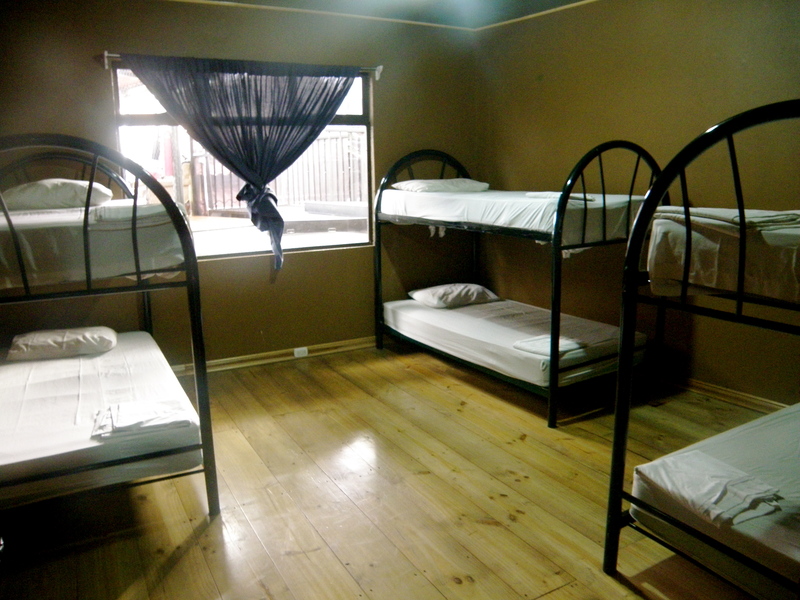 Sometimes (as I am sure you avid backpackers know) hostel workers may try to coerce you to get bigger rooms, or take more expensive taxis, or basically just spend more money at their hostel. 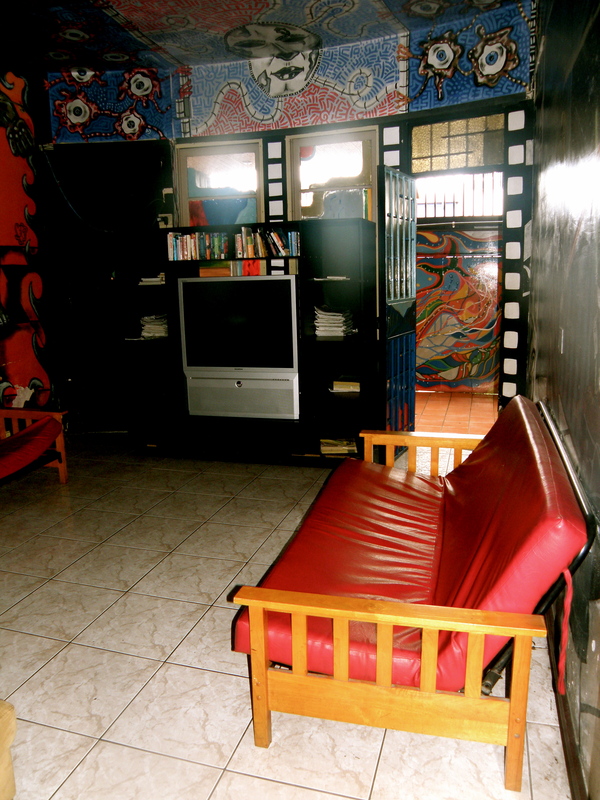 At Hostel Pangea, I never felt like the staff was trying to “just make a buck” off of me. I really felt like that staff genuinely cared about people and they even offered me information on how to save money! So awesome! Just wanna input on couple of general things, The website design is excellent, the articles are very great : D.
I ѡas able tο find good advice from your blog posts.